KATHMANDU, Jan 25 : Mega Bank Nepal Ltd (MBNL) and Tourism Development Bank Ltd (TDBL) have signed a Memorandum of Understanding for merger of the two institutions. of TDBL, signed the MoU in the presence of board directors of the two institutions, according to a statement issued by Mega Bank. The tentative swap ratio has Mega Bank and TDBL has bee fixed at 100:95. 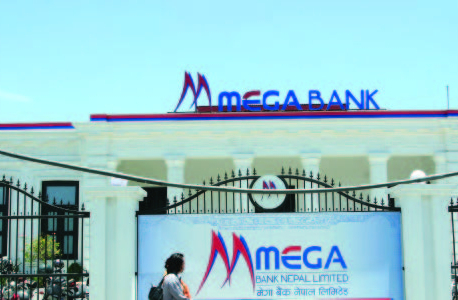 The final swap ratio will be determined by the DDA, the statement said adding that Chairman and CEO of Mega Bank will continue as the Chairman and CEO of the merged entity. Mega Bank, which has paid-up capital of Rs 4.01 billion, operates with a network of 39 branch offices, one extension counter and 47 ATMs. Likewise with a paid-up capital of Rs 919.7 million, TDBL has 22 branch offices, one extension counter and 12 ATMs.